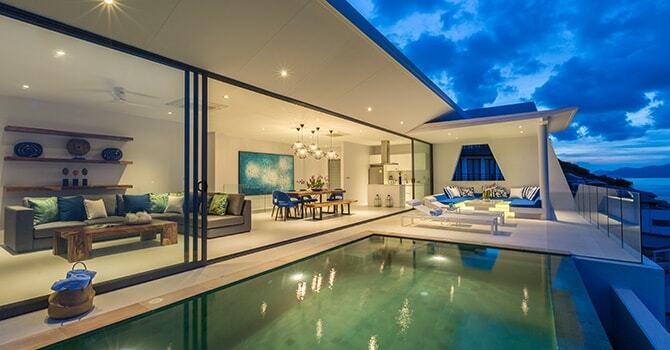 Set in sought-after Nathon, this stunning luxury 4 bedroom villa is island excellence, with private infinity pool and lush tropical garden framed by palms. 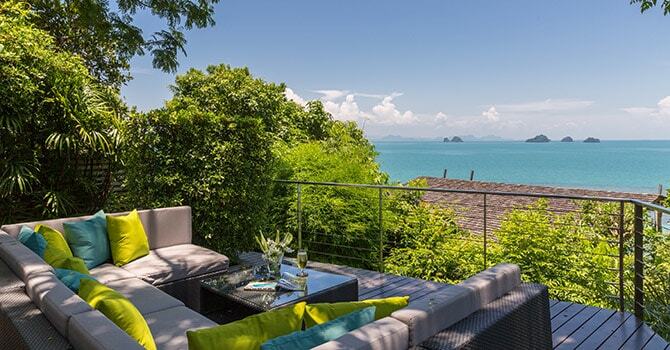 This luxury 3 bedroom villa boasts plentiful relaxation areas, a BBQ, a cozy fire pit and a private infinity pool on a Taling Ngam beach. 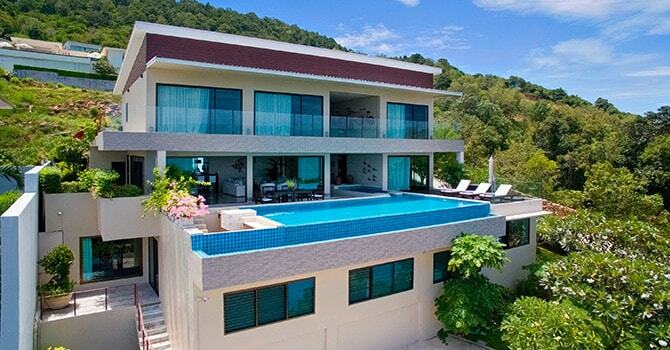 This luxury 3 bedroom Villa is a spectacular beachfront estate featuring a sparkling blue infinity pool and chic design in popular Bophut. 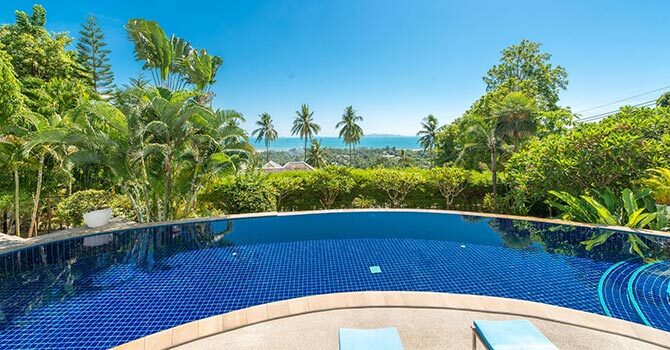 Luxury 6 Bedroom Hillside Ocean View Villa Sukham lies on a serene tropical hillside minutes from the beach in Koh Samui. 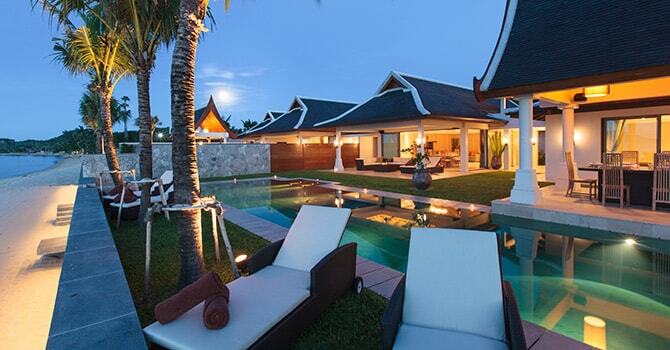 Luxury 8 Bedroom Beachfront Villa Sila sits on magical Maenam Beach and features a pool, lotus pond and Thai style dining/living areas.